Mekuria, R.N. (2017, January 23). 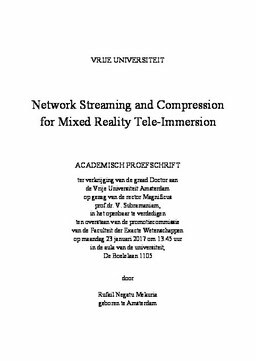 Network streaming and compression for mixed reality tele-immersion.